The World Poker Tour National (WPTN) Rozvadov is one of those poker tournaments attracting a record breaking number of participants this summer in Europe. The city of Rozvadov (Czech Republic) may lack touristic appeal but that did not actually prevent poker enthusiasts from making the trip to the festival. Indeed, the  1,100 buy-in Main Event seduced 374 entrants, creating a prize pool of  362,780. At the end of this action-packed three-day battle, it was Manig Loeser who successfully made his way up to the win. Held at King's Casino's poker room, the WPTN Rozvadov saw Manig of Germany and the Netherland's Jeffrey Brouwer running for the title in the heads-up. It only took 23 hands of play for Manig to knock the Estrellas Poker Tour Marbella finalist out. Manig Loeser is a regular participant in major tournaments; and this comes as the first victory he has ever notched so far. Prior to this feat, he would only final-table a number of events. Last year, his most notable finish was a 3rd-place in the World Series of Poker $ 5,000 buy-in No-Limit Hold'em event. This year, his title quest has come into fruition. By earning the top payday of  76,000, his overall career cashes now amount to $ 1,469,809. 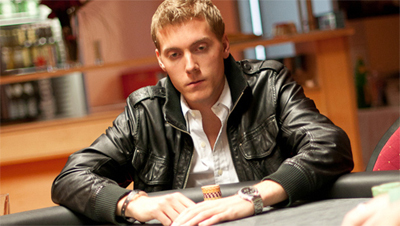 Finishing runner-up, Brouwer pocketed  53,000. Securing 3rd place was Czech Republic's Sébastian Kos; Kos has delivered the most impressive performance compared to the other locals in the race. His efforts rewarded him  34,000 of prize. Rounding out the Top 5 ITM places are Marius Kaiser and Michaël Gossens.